Founded in 1940, the Mintie Corporation began as modest specialty maintenance service company and has grown into a company with an international reputation for excellent service and innovative products. 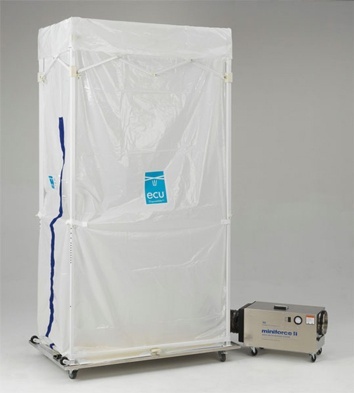 Mintie provides indoor air quality management, preventative maintenance solutions, and portable containment products for airborne particulates, infection control and bio-security. Mintie's client base is comprised of a diverse mix of companies, ranging from market leaders to entrepreneurial start-ups within healthcare, biotechnology, entertainment, aerospace, manufacturing and commercial real estate. 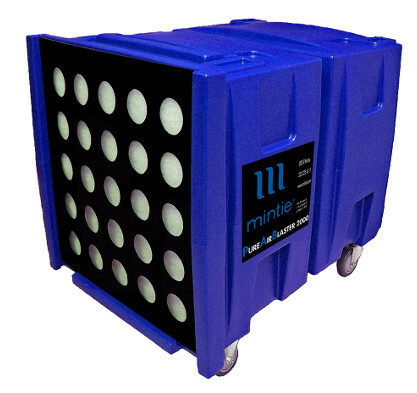 Mintie is dedicated to providing superior air quality management, preventative maintenance services and portable containment products which help clients meet relevant health and safety standards with minimal disruption and maximum satisfaction. Environmental Containment Units: ECU3 The new ECU3 is the most recent generation of the industry-leading ECU product line. 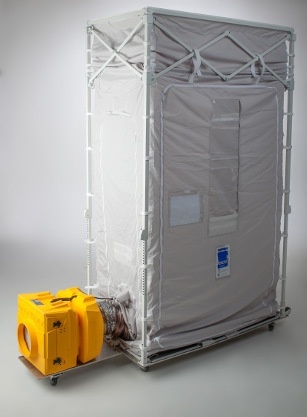 The modular ECU3 is a collapsible, portable containment unit or temporary isolation during normal facility operation or during a public health emergency. Designed to be a multi-functional containment solution to help organizations maximize their return on investment, the ECU3 combines the proven functionality of the ECU AnteRoom and Ceiling Cavity. Negative Air Machines: Pure Air Blaster 2000 The Pure Air Blaster (PAB) 2000...durable, powerful, versatile! The solid rotational molded housing is designed to withstand the most rigorous demands. The PAB is engineered to deliver powerful performance with the flexibility to meet any ICRA containment requirement. Disposable Envelope: Ceiling Cavity Starter Set Containment of construction and maintenance has never been easier. Disposable Envelopes (DE) provide consistent appearance, cleanliness and performance. A truly affordable solution, these envelopes can be used to standardize compliance with the Infection Control Risk Assessment (ICRA) throughout a facility. Plus, they save time and effort. Contact your local Accu-Tech representative to learn more about Mintie's solutions.